The finalists for the U13 and U15 SFAI Subway Championship and Plate finals have now been confirmed after a thrilling weekend in the competition. On Saturday, Mayo overcame Carlow JDL 2-0 in the U13 SFAI Subway Championship semi-final, while Cavan/Monaghan edged their semi-final against Limerick Desmond. In the U13 SFAI Subway Plate semis, South Tipperary were taken to penalties by the RDYSL, before winning to seal their place in the final, while the Midlands SL came out on the right side of a 1-0 scoreline against Sligo/Leitrim. 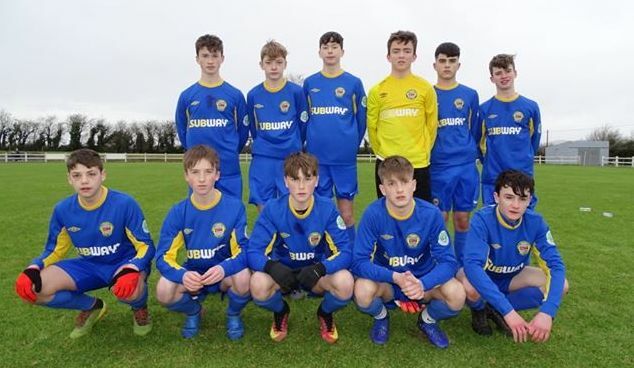 In the U15 SFAI Subway Championship, the DDSL beat Sligo/Leitrim 1-0 on Saturday, while Waterford scored three to overcome Galway in the RSC – that game ending 3-2. Finally, the U15 SFAI Subway Plate final will feature North Tipperary and Carlow after they beat Mayo and Cavan/Monaghan respectively. The finals will take place in Mullingar over the weekend of February 23rd/24th, with further details to TBC.